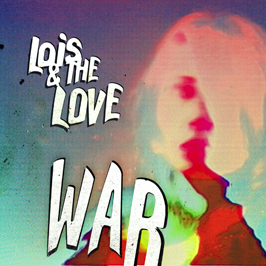 "War", the new single from Lois & The Love, is as close to a rollercoaster ride, without getting on one, that you'll possibly get this month - or even year. The psychedelic-clad sounds drench the soundwaves of the song, with clear influences from that past, following a recent trend. "War" has catchy guitar and a great rhythm to it, providing a solid foundation for the rockette that is Lois. The love most certainly is there, and they should be a huge hit at festivals this Summer!